Reaching people for Christ by demonstrating God's Love, Acceptance and Forgiveness... no matter what road you have traveled. LAF Ministries exists to assist pastors in developing the practical tools needed for successful ministry and assist the Church to be the Church, by developing a lifestyle of Love, Acceptance and Forgiveness. This message will be presented through radio, seminars, individualized coaching and pulpit ministry. Loved unconditionally, which means "doing well" for others. Accepted without reservation, regardless of one's lifestyle or background. Forgiven and not judged, regardless of how miserably one has failed. ► Dr. Delbridge has just published a new book entitled, Won't Someone Please Help Me? It is available at Xulon Bookstore, Amazon, or Barnes & Noble. ► Radio Program, "The Pastors's Institute", aired twice weekly on WBRI in Indianapolis, IN. 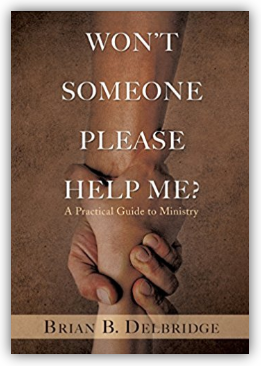 ► Seminars - Practical tools for the Pastor using the book, Won't Someone Please Help Me? ©2018 LAFministries.net All rights reserved. original design by TEMPLATED, mods by gatspud.